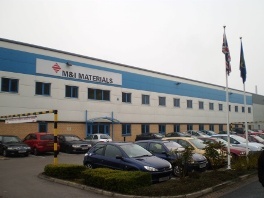 Leading specialist materials manufacturer M&I Materials is the first customer of the year to sign a Total Waste Management contract. Under the contract CSG will provide all environmental services to M&I’s development and manufacturing complex in Manchester. The advantages of having a single contractor able to deliver cost savings through waste minimisation and maximum recycling enabled CSG to win the contract in the face of stiff competition. Some of the waste is hazardous and will be handled at CSG’s treatment and recovery site at Cadishead. Queen’s Award winner M&I supply industry and science worldwide with highly specialised materials including high vacuum greases, non-linear resistors, transformer fluid, and tungsten heavy alloys.